Every day, Watch This offers staff recommendations inspired by a new movie coming out that week. This week: The release of Sundance winner Fruitvale Station, set over a 24-hour period, has us remembering other day-in-the-life dramas. 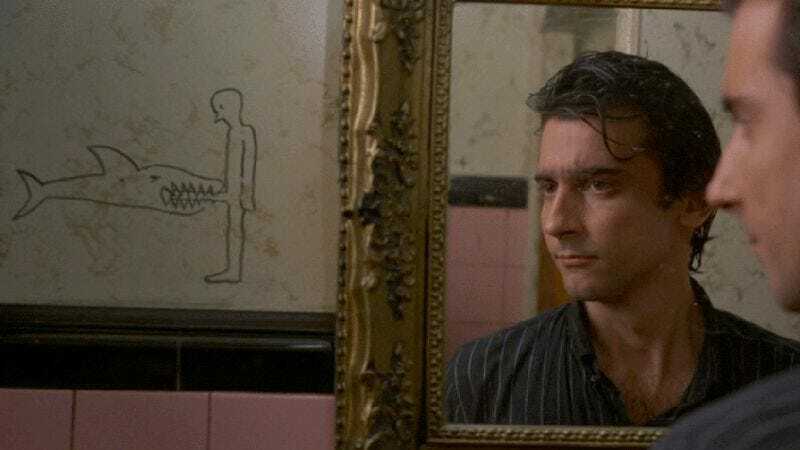 Roughly three-quarters of the way through After Hours, its beyond-frazzled hero, Paul (Griffin Dunne), gets asked why he doesn’t just go home. The question is made in the weariest of tones, by someone who’s clearly just being polite, but Paul nonetheless launches into an intense monologue—a soliloquy, really, given the inattention of his ostensible listener—which amounts to a complete plot summary of the movie so far. And even though the audience has seen every single adventure and setback and insane development he relates, it still sounds completely preposterous. Such is the brilliance of this absurdist nightmare, in which an ordinary guy just tries to get out of his apartment, maybe meet a nice girl (Rosanna Arquette), only to find himself broke, stranded, humiliated, possibly responsible for a suicide, and definitely pursued through the streets of SoHo by an angry vigilante mob led by a woman (Catherine O’Hara) driving a Mister Softee truck. After Hours rarely gets included on lists of the great Scorsese films—it’s too slight, too goofy, too clearly the work of a director trying to burn off some nervous energy. (The film came together quickly after initial financing for The Last Temptation Of Christ fell apart.) But that restlessness perfectly complements the feeling of creeping, comic paranoia that Paul experiences over the course of this long night’s journey into day. It’s as if the camera itself is attacking him, forever lunging and whirling and feinting in a way that keeps everything off-balance. And while screenwriter Joseph Minion, then a Columbia University student, unquestionably swiped the basic scenario and certain outré details (like a roommate who makes and sells plaster of Paris bagel-and-cream-cheese paperweights) from a Joe Frank radio piece, he used that foundation to build his own monument to inexplicable, free-floating hostility. After Hours is a movie for anyone who’s ever felt like the universe was conspiring against them, even if only for a single night. And also for anyone who’s ever been turned into a papier-mâché statue against their will. Availability: DVD but no Blu-ray, rental and purchase from the major digital providers, and disc delivery from Netflix.